Cybercriminals will stop at nothing to prey on the uninformed. Help your employees be ready for scammers who may call them on the phone posing as support personnel. With a little education, you could save your business a lot of trouble. Unfortunately, there are people with bad intentions who want to cheat you of time and money. Phone scammers use fear to prey on unsuspecting people to steal information that they can use, by pretending that they can help you with imagined computer problems or offering some helpful-sounding enticement. 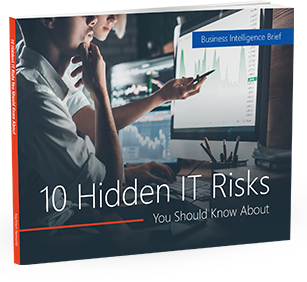 Your employees are the targets of these scams, as well as your first line of defense. Here are some tips for preparing your front line to deal with these types of phone support scams. It may seem like common sense, but when an employee is busy or distracted, it can be easy for a phone scammer to sound convincing and trustworthy. Scammers can be very clever and sound legitimate by claiming that they represent a software company like Microsoft or Google, and they often use publicly available phone directories, so they might know names and other business information when they call. Make sure your employees know that an unsolicited tech support call should never be trusted… ever. Trick your employee into installing malicious software that could capture sensitive data, such as online banking user names and passwords. Take control of your employee’s computer remotely and adjust settings to leave the computer vulnerable. Direct your employee to fraudulent websites that ask for credit card or financial information. Employees should be on guard to verify, take names, and hang up if there is any question. If you use an MSP or other outsourced IT services company, make sure that your employees know who they are and the security procedures that they follow. Monitors that IT providers offer can help to improve your security system and avoid malware issues. Security should be a key part of your IT plan. Let’s talk about how we can help you prevent the unthinkable.